Technology and Science Magazine. 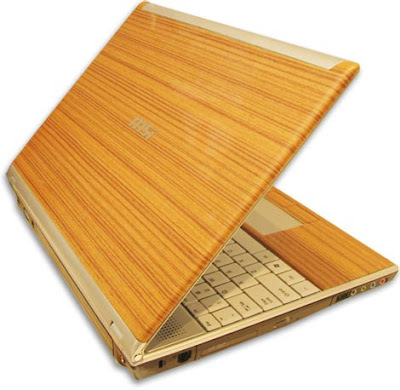 MSI will show its Green Concept notebook product design with Anion technology! Anion technology is a technology to purify the air and remove toxic substances. MSI is the first to combine anion technology with the advance computer technology to create World’s First Anion Notebook. Notebooks are often used in indoor spaces with insufficient ventilation; the MSI Anion notebook can provide users the benefits of clean air anywhere. MSI developed the MSI PR620 Anion Notebook, which makes it world’s very first notebook that is capable to release anion to better your health. Using the latest in technology, the MSI PR620 Anion Notebook can release up to five hundred and fifty thousand ions/cc (50 cm from the air vent)*. This is more than if you were right next to mountains or the beach. The Anion module can also contain concentrated ozone lower than 0.02ppm. (UL & TUL regulations must be lower than 0.05ppm; high ozone concentration can be harmful to human bodies). Technology and Science Magazine. E-Ten has announced yet another version of its Glofiish smartphone, the X650. 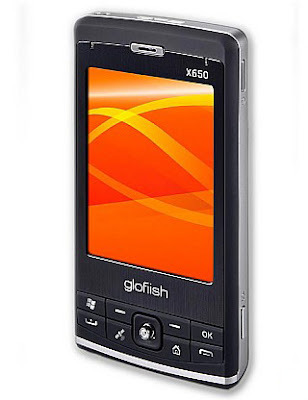 Based on the existing X600, the phone returns VGA resolution to a 2.8-inch touchscreen, but there no longer appears to be any sort of cellular broadband. Connection types do, however, continue to include GSM, Bluetooth and Wi-Fi, as well as a native GPS system. 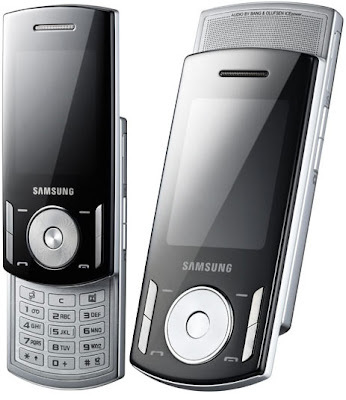 Other hardware in the 650 includes a 500MHz Samsung processor, 256MB of flash storage, and a 2 megapixel camera. The phone additionally features Windows Mobile with Mobile Office, plus an FM tuner. In some regions an FM transmitter will also be built-in, but North America is likely to be excluded, as the FCC restricts the power of portable transmitters in order to prevent interference. The 650 should launch "worldwide" in black and purple colors, going to market within two to three weeks. Technology and Science Magazine. LG will debut its new Phone LG-KF510 at the GSMA Mobile World Congress 2008 in Barcelona. 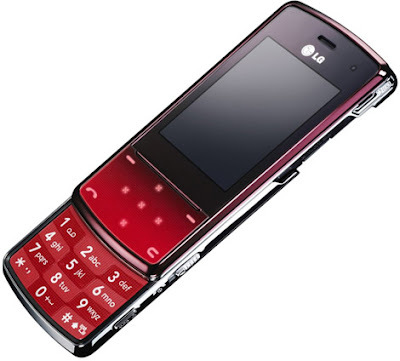 LG-KF510 is a stylish, fashionable phone catering to users’ demand for slimmer phones with unique design accents. At just 10.9 mm thick, the LG-KF510 is the extremely slim slider phone. It combines a slim style with strength created by its metal frame and tempered glass. At the center of its design are metal gradation paint schemes available in Stardust Dark Gray or Sunset Red. Users will especially appreciate the quality of the LG-KF510’s multi-function camera with 3.0 mega pixel and MP3 player. The LG-KF510 will be available worldwide, with an initial launch in March 2008 starting from major global markets. Technology and Science Magazine. Nokia has unveiled the latest addition to the Prism Collection, the Nokia 7900. 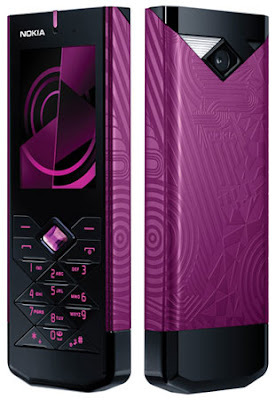 True to its line, the 7900 incorporates the geometric patterns in design, signature to the Nokia Prism Collection line. The handset was made in collaboration with Frédérique Daubal, a French designer. It features diamond-cut patterns with a crystal center key. 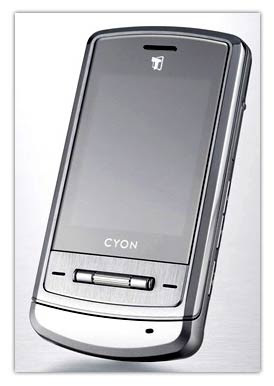 It also boasts an OLED display, various wallpapers and accessories made specifically for it, a unique aluminum back cover, 1GB internal memory, 3G connectivity, 2-megapixel camera and a choice among the 49 colors available for the keymat. The Nokia 7900 Crystal Prism has a price tag of US$544. Technology and Science Magazine. 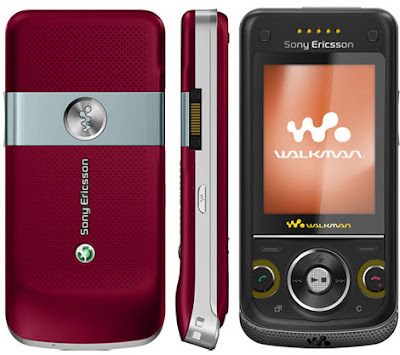 Sony Ericsson has announced a new Walkman phone with tri-band HSDPA, the W760, giving you the broadband speed downloads of the latest music and content wherever in the world. The phone has a built-in GPS with Wayfinder Navigator to help you find the way out when you are lost, giving a search of over 20 million points of interest around the globe. There’s a GPS-supported fitness application called Tracker which can tell you how fast, how long and how far you ran. With the built-in stereo speakers, you can share your favorite tunes with your friends and the best part, it is preloaded with the latest hit games, including the Need for Speed ProStreet. The phone also comes with the skip control where you can shuffle and skip through tracks or shake it to adjust volume. 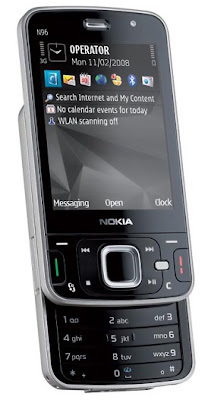 Other features include a 2.2-inch display, 3.2-megapixel camera, 40MB shared memory with M2 memory slot, FM radio etc. 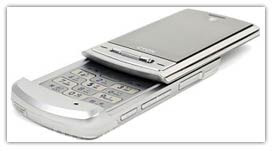 The Sony Ericsson W760 is a UMTS/HSDPA 850/19002100 and GSM/GPRS/EDGE 850/900/1800/1900 phone. It will be available in selected markets from Q2 2008. Technology and Science Magazine. Motorola has unveiled their ROKR E8 a music phone with very snazzy dynamic keypad that changes depending on which feature you are using. It uses the ModeShift technology from Motorola, allows user to shift from a music player to phone with just a touch of a button. When the phone is switched off, it will have a smooth and glossy surface with no visible keys. That’s cool, with one press on the virtual music key, the phone keypad disappears and the music keys (play, pause, fast forward and rewind) appear in its place. The vibrating haptics technology has been used also, the device will provides the tactile feedback consumers expect from a traditional keypad, providing confirmation they have pressed a virtual key. The ROKR E8 has 2GB of internal memory which can store up to 1,500 songs and if that’s not enough, you can expand another 4GB with an optional micro SD card. 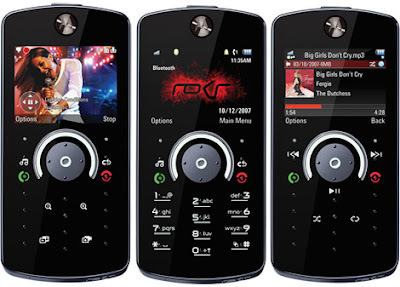 The Motorola ROKR E8 is expected to be available in Q1 2008. Technology and Science Magazine. 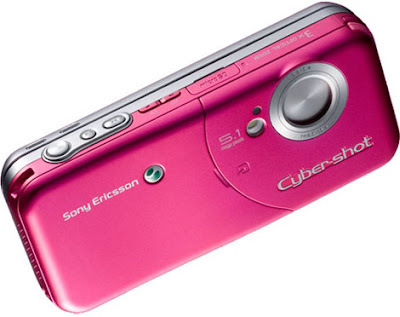 Sony Ericsson introduced W61S the new 5.1-megapixel camera phone from the Cyber-shot series with 3x optical zoom and smile shutter technology. This slider phone features “Exmor” CMOS matrix, the same sensor technology (analog-digital converter) from Sony’s Alpha DSLR. The W61S can work in CDMA 1 X WIN networks supporting EV-DO Rev.A technology, and supports Bluetooth, so the user can feel free without wires. GPS-functionality enhances photo capabilities of the phone: when you take a picture, the phone records the info from the GPS-receiver about the place, and then you can see it on a PC map. In addition to photo and GPS the new Cyber-shot phone can boast of a big widescreen 2.8” TFT VGA display, which can be used as a pocket TV display. If the this display isn’t big enough for you to share the content, the developers added a video out. Technology and Science Magazine. Nokia finally officially announces the next flagship model of the N-series, the Nokia N96. The handset is optimized for video and TV viewing. In fact, in some territories, the integrated DVB-H receiver could be used to watch live TV broadcast and it even sports a kickstand at the back for hands-free viewing. The Nokia N96 has a 2.8-inch screen and 16GB of internal memory, which is expandable with the addition of microSD cards. 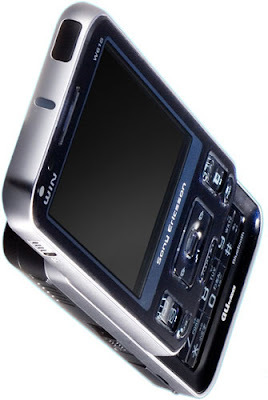 The N96 supports various and common video formats such a MP4, Flash, and WMV. It features a 5-megapixel camera with Carl Zeiss optics and can capture DVD-quality video at 30 fps. It also has WLAN and HSDPA support as well as integrated A-GPS which lets you geo-tag your images. The Nokia N96 will be released on Q3 2008 with a MSRP of US$800 (€550) sans taxes. Technology and Science Magazine. The LG-SV420 is part of LG's "Black Label" range, which includes the LG Chocolate, although there are many different "Chocolate" handsets in different markets. So, this Korean CDMA version of the LG Shine is called the LG-SV420, but any derivative for worldwide markets would be slightly different. Really, the LG-SV420 is about looks rather than raw technology. It's a sleek looking slim slider, which is certainly very shiny and is nicely alliterative. The large 2.2" screen has a mirrored effect which complements the overall design. The primary control is a scroll key arrangement in the middle of the handset, plus a couple of selector buttons. The LG-SV420's keypad unslides to reveal a pretty conventional keypad with a discrete checkerboard pattern. It does look familiar though, and there's more than a passing resemblance to the Motorola RIZR complete with a RAZR-style step at the bottom, but it's a far more polished (ahem) design that gives the LG Shine an edge over the competition. Underneath, the LG-SV420 is decent enough but not all that exceptional, with a 240x320 pixel display, 2 megapixel camera with flash, 1Gb of memory, an MP3 player and all the usual stuff. The LG-SV420 is an EV-DO handset (which makes it 3G), weighing in at 115 grams and measuring 94x51x14mm - which isn't too bad. Talktime is around 3 hours with up to 3 days standby time. You can expect any worldwide version of the LG Shine to be similarly specified. As with the Chocolate, the LG Shine is a fairly standard handset with a sprinkling of special features.. but one that looks fantastic. Given that the Chocolate has been a huge sales success in Europe, it's quite likely that any version of the LG Shine would be equally successful, and will be hotly anticipated.